Free Belgium Travel Guide up to -70% off To take advantage of these offers, join now for free! Discover the TOP 10 things to see/do in our Belgium Travel Guide.  Find advices, itineraries and hotel deals. Venture into the heart of Europe with an inspiring and educational trip to the centre of the continent's historical, linguistic, and political culture. The small nation of Belgium is home to just over 11 million people, but the diversity within its borders is truly unbeatable. You can stay in the southern region of Wallonia where French is the common tongue, or travel northwards to Antwerp and Ghent in Flanders where you will hear Dutch. The eastern part of the country is also home to a significant German speaking population, so whatever your linguistic interests and abilities, Belgium caters for them all. A visit to the stunning capital of Brussels illustrates how the nation has positioned itself at the crux of European and international affairs. You can spend time in the contemporary European Parliament building, or visit the headquarters of NATO. Afterwards, take a moment to sample at least a little of the mouth-watering Belgian chocolate while you take in the breathtaking architecture of La Grand Place. Then, if you're feeling adventurous, venture out of the city and explore some geological gems like the nation's ancient limestone caves, or take your little ones to experience the enchanting Pairi Daiza Zoo. No trip to Belgium is complete without an engaging visit to one of the main centres of European politics and diplomacy. Located in the aptly named European district, this imposing building is like a modern day coliseum with its circular design and bustling activity. You can head straight to the Visitor's Centre where there are a number of interactive guides in 24 different languages. After a stroll through Brussels Park, it's worth taking a moment to see the Belgian royal family's official residence. The building is only open to tourists in the summer, so you must plan your trip between July and September to see the intricately landscaped gardens and awe-inspiring chandeliers. The Mirror Room is a particular must-see with a mesmerising turquoise ceiling and light fixtures. Famous for its Asterix comics, it's no wonder that Belgium has several delights for comic book fans from around the world. In addition to an amusing comic book walking tour, Brussels also offers a museum purely dedicated to animated tales. The building, which was designed by Victor Horta, is a work of art itself, but it's also filled with hidden joys. You can pause and read some comics in the designated library, visit the on-site shop, or peruse a range of original famous comic book pages. There's no need to settle for one museum when several are available, and that's exactly the case with Brussels' Royal Museums of Fine Arts. An ideal stop off for any art history enthusiast, you can access over 20,000 pieces of creative work, which are divided into sections such as the Old Masters and the Magritte Museum. After visiting all five divisions, you can opt for a coffee break at their restaurant before continuing on to see one of the rotating exhibitions on specific artists and themes. Before departing from Brussels, it's essential that you stop off at the central UNESCO World Heritage site La Grand Place. The spot is also home to attractions like the Town Hall and the Museum of the City where you can learn about the old stories and history of the area. If you opt for a trip in August, you can witness the whole square filled with flowers during the bi-annual Flower Carpet celebration. 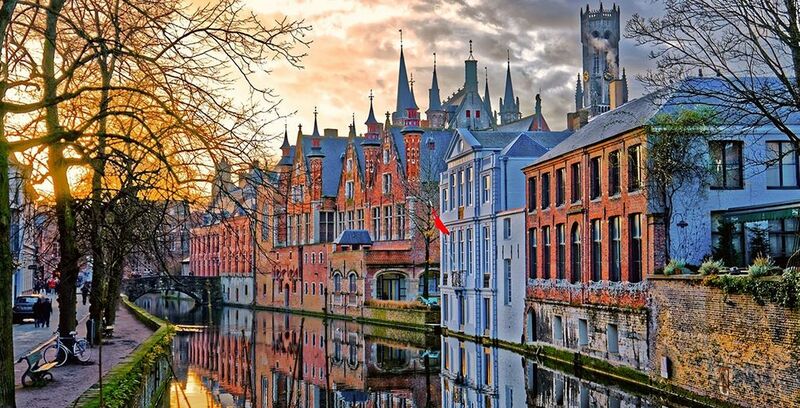 If you want to see where the iconic and award-winning film 'In Bruges' was set, book yourself a place to stay in the centre of this historic medieval city. The area is a designated UNESCO World Heritage site, and offers stunning views of Gothic architecture that once inspired renowned Flemish artists such as Jan van Eyck. Travel the canals by row boat before stopping off at the bustling central marketplace. It's hard to miss this imposing medieval castle during a trip to Ghent with its elaborate wrap-around moat and numerous looming turrets. Dating to 1180 AD, it offers an informative audio tour to give you an overview of its numerous past rulers and the battles that were waged there. After feasting on this gory history, you can opt for a traditional Viking beer in the Castle of the Counts bar. It would be hard to miss this stunning house of worship, but it's worth a mention for its collection of art works alone. Most notably, the ancient cathedral is home to the panelled altar known as 'The Mystic Lamb' painted by the Van Eyck family, but you can also see Justus van Gent's Calvary Triptych and works by Rubens, among other treasures. If you time your visit during the Ghent festival, you can also take a trip up to the top of the tower and take in the breathtaking views of the entire city. If you thought Belgium was all cobbled streets and multi-lingual politics... think again! There are several natural wonders to behold beyond the cities' walls, the most notable of which are the awe-inspiring limestone caves at Han-sur-Lesse. Located in French speaking Wallonia, you don't need to speak the language to appreciate this site. A 20th century tram takes you into the depths of the earth, as well as offering you a light and sound spectacle to enhance the otherworldly nature of the trip. While you're in the Wallonia region, it's imperative that you pay a visit to this stunning zoo, which has been rated the best theme park in the Belgian Travel Awards. Once just a bird sanctuary, it has since evolved to house thousands of animals in designated areas. Pop over to Algoa Bay if you want to see some seals and penguins, or pay a visit to Mersus Emergo to catch a glimpse of alligators and pythons. Once you're tired out from all of these exotic sights, there are a series of serene botanical gardens to calm and restore your senses. 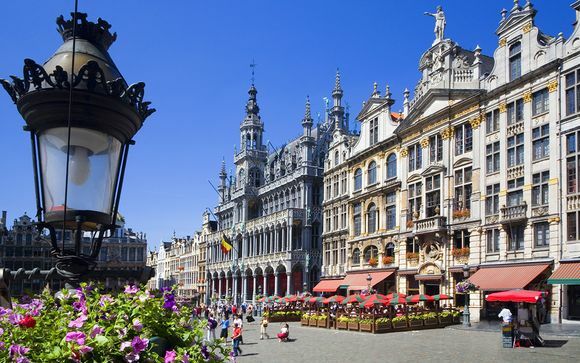 Like many European cities, Belgium experiences its busiest tourist season in the summer months, although it is more congested generally from mid-spring until the middle of autumn. As the climate in Belgium is never too extreme, there's no harm in booking a city break, or even a more extensive trip, when the crowds have lessened and the prices have decreased in the winter months. However, it's best to check the dates of any specific festivals that you would like to experience, as well as the opening times of your favourite attractions, in case the seasons affect any entry policies. Due to its dynamic central role in European and international affairs, Belgium is easily accessible via several modes of transport, whether you prefer to travel in the air or on the ground. The most efficient and direct way to reach Belgium from London is by air. You can arrive at Brussels International Airport from Heathrow in just 1 hour and 5 minutes with a flight offered by British Airways or Brussels Airlines. 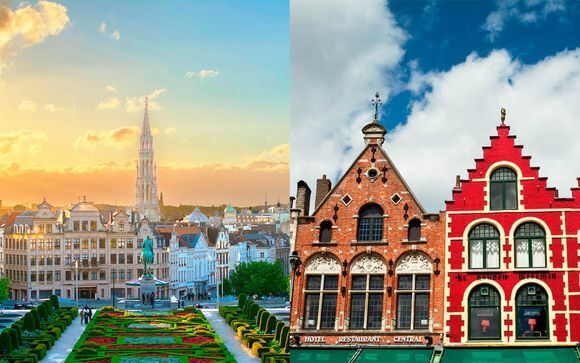 As Belgium is a relatively small country, other cities such as Bruges and Ghent can't be flown to directly, but you can connect to them via train or car. You can also opt to forgo the hassle of airport life and take the Eurostar from St. Pancras to Brussels Midi/Zuid station. There are several journey variations, but the shortest starts at just 1 hour and 56 minutes directly. The benefit of travelling by Eurostar is that all of your luggage and documentation checks are done in London before you leave, so you can sit back and relax with a coffee once you board! If you like the sound of a road trip to the continent, you can also opt to rent a car or drive your own. You can cross the Channel via the Tunnel, and the trip only takes around 4 hours and 40 minutes. If you are a British citizen, then you don't currently require a visa to travel to Belgium, although it is possible that this will change after the UK exits the EU on March 29, 2019. It's important to travel with your passport, however, and ensure that it is valid for the time you will be in the country. 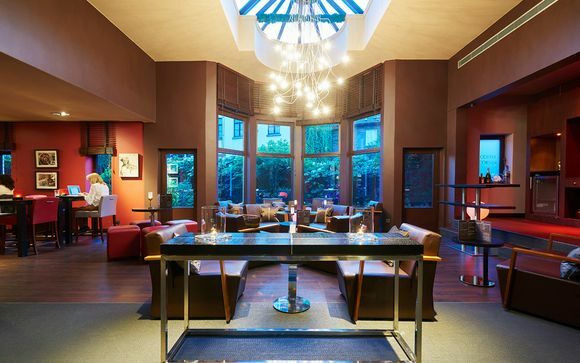 Embrace a little old world charm with this deluxe mansion hotel in the heart of Bruges. Its intimate rooms and intricate design have charmed many a traveller, including the experts who bestowed it with the World Luxury Hotel Award in 2017. 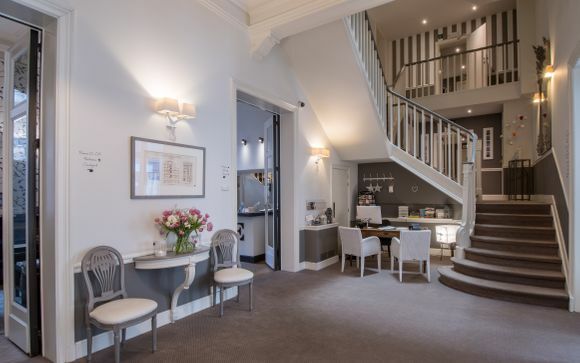 You can wake up each morning to a glass of champagne before you step out to explore the medieval sites, and return for an evening drink in the Bowler Bar. Live like a Baron from days of yore – literally – in this adapted former residence of the Baron de Peellaert. 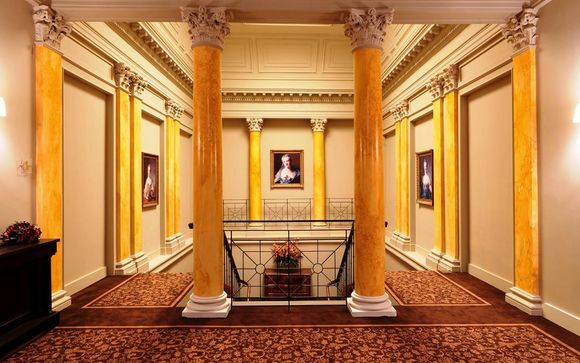 Descend the stairs in your finest evening wear to enjoy a mixed drink, or immerse yourself in the Turkish bath in the basement spa. Located just 150m from the bustling shops and cafes of the city's market square, you couldn't be more centrally located to explore Bruges in its entirety. For something a little more unique, opt for the converted 1920s school boarding rooms of the Hotel Montanus. 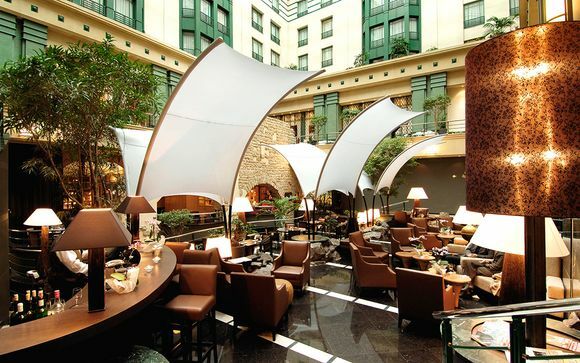 Situated right in the heart of the city, this luxurious residence embraces the multi-cultural blend of Belgian continental life with its on-site restaurant that offers an array of European dishes. Each July, the city of Ghent lights up with the sounds and sights of both music and theatre during a massive celebration known as Gentse Feesten or the Ghent Festival. The event takes place over the course of 10 days and, although the dates vary each year, this always includes the national holiday on July 21. Founded in the same year that Woodstock took place across the pond in New York state, the festival encompasses a wide range of genres, from jazz to choral songs, making it the ideal time to visit for music lovers. In keeping with Belgium's diverse population, the country also has three holidays celebrating each of the main linguistic cultures. On July 11, the Flemish community recognise the Flemish Community Holiday and on September 27 the French region celebrates their version. Towards the end of the year, on November 15, the German community in the east also pays tribute to their part in Belgian society. The main goal of these events is to shut down schools and workplaces and focus on celebrating their respective contributions to Belgian society, as well as their historical role in the nation's development. Events can include performances and other artistic displays that celebrate the language and idiosyncrasies of each community. 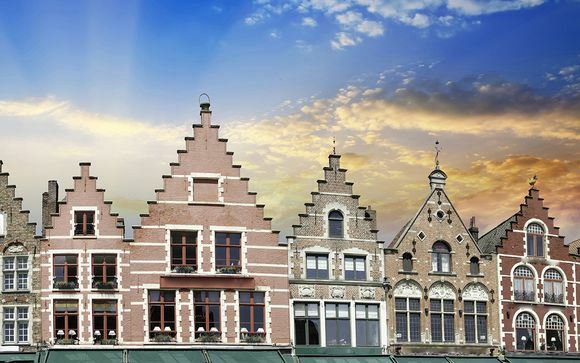 For the traveller looking to expand their horizons and learn more about the rich tapestry of Belgian life, then one of these dates would be the ideal time to book a trip. You can't go wrong with a few boxes of Belgian chocolates, which are renowned throughout the world. However, if you prefer something a little stronger, some famous Belgian beers wouldn't go amiss. A traditional comic book is the ideal souvenir for children, and a food lover will appreciate the strong, rich flavours of Belgian mustard, mayonnaise, or cheese. Unsurprisingly, as Brussels is home to the European Parliament, Belgium is a proud user of the Euro. As with any trip to Europe, you can exchange GBP for Euros before your trip at a number of locations, such as the Post Office or the bank. It is a good idea to shop around for the best rate, and check with your bank before using your debit or credit cards abroad, in case they impose foreign transaction fees or place a temporary block on them. Belgium is 1 hour ahead of London GMT. Belgium has three official languages – French, Flemish Dutch, and German – but many people will also speak English. The climate in Belgium is quite similar to other northern European countries like France and the Netherlands with temperate seasons that are neither extremely hot or cold. Tailor your packing list to the time of year, opting for layers and waterproof items in the winter months, and lighter clothes in the summer. Belgium is a relatively urban country, and even a trip to the caves of Han-sur-Lesse or the Pairi Daiza Zoo should be easily completed in the same attire with which you would wander the streets of Brussels or Bruges. Don't forget comfortable shoes, however, which are always an essential item! 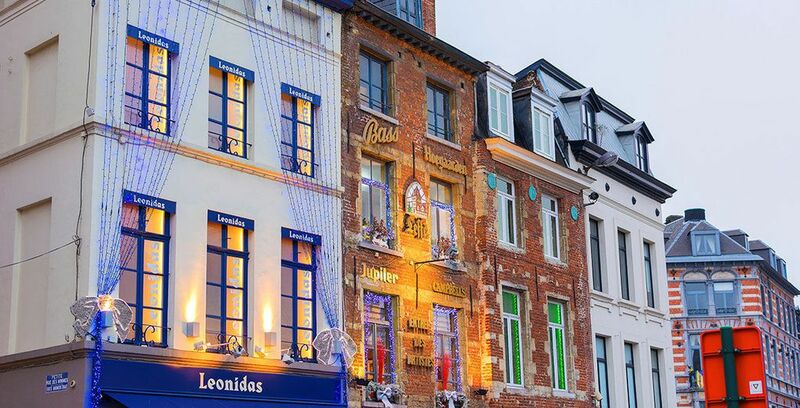 The beauty of a trip to Belgium is that it can be the ideal destination for a weekend city break, but also has the depth and range to fill a week or more if you wish to fully explore the country's offerings. 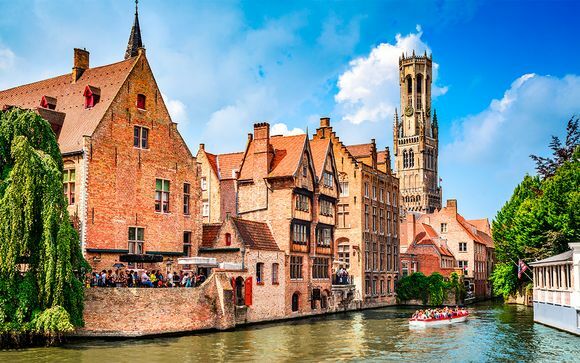 Opt for a couple of nights in Bruges, Ghent, or Brussels to get a taste of the sites and cuisine, or take a tour of all three cultural regions to enjoy a glimpse of the natural landscapes that lie outside the cities. Belgium is famous for several curious items of food, such as their fries served with mayonnaise, rather than the conventional side of ketchup. It's said that Belgians invented the french fry, though, so that means it must be good! While you're there, don't forget to sample a few of the chocolates... Belgium is also famous for its national beers, so don't forget to try a few of those too! Belgium truly offers an activity for every type of traveller, whether that is an individual explorer, a family on holiday, or a couple looking for a quick getaway. Both parents and their children will love the tumbling castles in Bruges or the imaginative animal park of Pairi Daiza. Meanwhile, an intrepid solo traveller will love the rich history and contemporary culture embodied in sites like the Royal Palace and the European Parliament. Couples can opt for a leisurely weekend perusing the artistic masterpieces of Magritte and Van Eyck before sampling some European fusion cuisine. In Belgium, there's a little something from every culture for everyone to appreciate. Belgium: What budget to plan? Belgium is fairly typical when it comes to European destinations and reflects a similar cost of living to its neighbouring countries. The GBP is usually worth just a little more than the Euro, but the currencies are generally similarly matched. As many of Belgian's attractions are located in the city centres, there's not always a high admission price to simply view the sites and architecture. 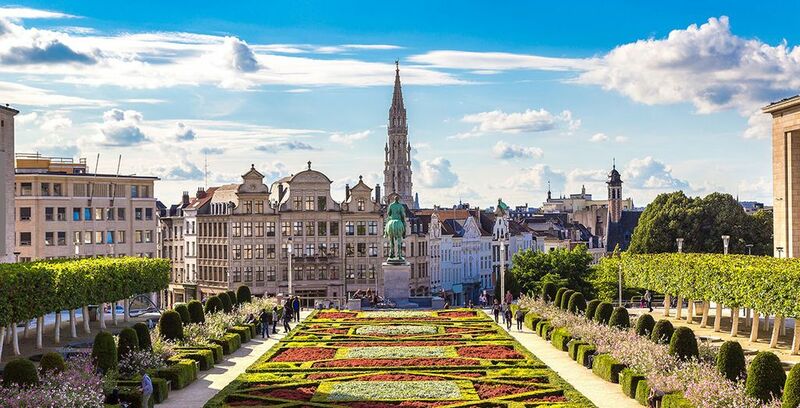 The Royal Palace is free of charge during its opening in the summer months, and there is no charge to enjoy locations like La Grand Place in Brussels. There are also opportunities to gain access to a number of attractions with a single fee, such as the Ghent CityCard, which provides entry to all of the city's monuments and museums. The card also allows you to take a river boat trip, in addition to accessing the transport network of trams and buses.